Anni Davey has worked in Circus for 25 years. 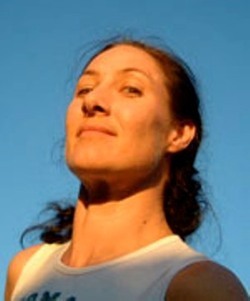 She has a long association with Circus Oz, first joining as a performer in 1987-1991 and again in 2000 – 2004. She has also worked with the company as Show Director, Operations Manager, Acting General Manager, trainer and workshop leader over the ensuing years. In the early ‘90’s as a freelance performer Anni co-founded CLUB SWING, an aerial performance company, and CRYING IN PUBLIC PLACES, who made intimate and acoustic a cappella musical theatre productions. Both these companies toured to acclaim around Australia and internationally for 10 years. In 2008 and 2010 she received Green Room awards for her work directing Yana Alana and tha Paranas. In 2010 Anni received one of three fellowships given by the Australia Council to Emerging Circus and Physical Theatre Directors. Some of the work that this supports includes the development of a new cabaret, The Rat Trap, by Polytoxic in Brisbane, work with A4 circus ensemble, and a one woman show by Sosina Wogayehu, a circus performer originally from Ethiopia. Alison is a Melbourne writer. Described by the Australian Book Review as “one of the most powerful lyric poets writing today”, she has published several collections of poetry, has won the Anne Elder and Dame Mary Gilmore Prizes and was shortlisted for the Victorian (twice) and NSW Premier’s Literary Awards. Her most recent collection is THEATRE (Salt Publishing 2008) . She writes in many genres: she is the author of the critically acclaimed and popular YA series THE BOOKS OF PELLINOR, which has sold half a million copies worldwide to date, and runs the influential review blog THEATRE NOTES, for which she won the 2009 Geraldine Pascall Prize for Critic of the Year. She has also written several works for theatre, including the operas THE BURROW and GAUGUIN with the composer Michael Smetanin, the most recent being the forthcoming opera MAYAKOVSKY. Performance Maker, New Media Artist and pedagogue, National School of Drama (India) alumnus, Amitesh Grover has created 15 performances and mixed-media installations, which have toured extensively around Switzerland, U.K., China, Romania, Oman and India. Having completed his MA (Performance Arts) from University of Arts London in 2006, he went on to focus on exploring the live interface between the body and media in performance. His interventions range from multimedia creativity (fluxing live with recorded arts), site-specific work and installations, striking artistic collaborations across cultures to evolving pedagogy for Advanced Performance. He is the recipient of numerous awards including YCE Creative Entrepreneur Award nomination (2010), SNA (Bismillah Khan) National Award for Theatre Direction (2009), Pro Helvetia Award for Artist Residency (Switzerland, 2008) and The Charles Wallace Scholarship Award, U.K. (2005). He was also on the jury of TheatreSpektakel’08. At present, he lectures at National School of Drama, India and is a freelance artist. His work, thoughts and reviews are available online at http://amiteshgrover.blogspot.com. Amitesh is able to attend the Australian Theatre Forum thanks to the support of the Arts Centre and Kenneth Myer Asian Theatre Series. 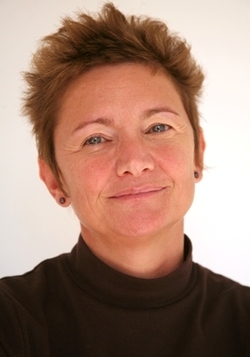 Cathy Hunt is a cultural strategist and one of the founding directors of Brisbane based Positive Solutions. 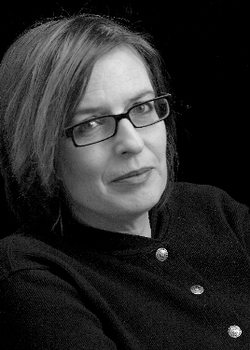 Her work in the arts and cultural sectors spans over 20 years, across the UK, Australia and Asia Pacific initially as a creative producer and festival director and more recently as a researcher and consultant. Working with elders in the Torres Strait on a cultural policy for the Regional Authority; consulting to architects Foster + Partners for their recent winning master plan for the West Kowloon Cultural Precinct in Hong Kong; and managing the New Models New Money research funded by the Office for the Arts are just some examples of Cathy’s recent work. Cathy co-authored Platform Paper 15 – A Sustainable Arts Sector – What will it take? Cathy has a first degree in English and Theatre Studies and a Master of Philosophy awarded by the University of Liverpool (UK) School of Architecture on the design and development of buildings for the performing arts. Sandra is currently finalising her PhD thesis Re/presenting Readings of the Indigenous Literary Terrain. 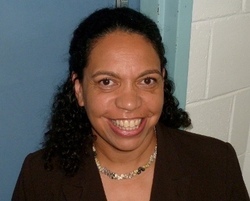 Sandra chose to start this journey in 2007 to help “clear her head” after many years of editing books (UQP, Magabala Books, Aboriginal Studies Press) and other arts sector work including as Deputy Chair of the Australia Council’s Aboriginal and Torres Strait Islander Arts Board (2000-2002) and Trustee on the Board of Queensland Performing Arts Centre (2000-2002). By unpacking the authoring, publishing and everyday reading practices of three selected texts, in her thesis Sandra shines a light on the creative practice of authoring and the publishing processes of three independent Australian publishers, constructing a picture of how these texts play out in the ‘hearts and minds’ of their everyday readers. In 2011 Sandra saw her sons turn 18, 17 and 11 and also become a columnist with the fortnightly National Indigenous Times. A Wakka Wakka woman, a Murri, Sandra is also a member and delegate of the National Congress of Australia’s First Peoples. She is actively involved in the politics of representation and advocacy at the local and national levels. 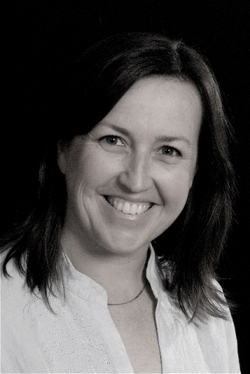 Janenne Willis has qualifications in Agribusiness, an MBA and awards in International Marketing and Business Planning. She is a fellow of the Williamson Community Leadership Program, Chair of Next Wave and a recipient of a Chairman’s Commendation for Community Leadership from Leadership Victoria. Janenne hop, skipped and jumped from the corporate world (where she gathered experience with major change) via an innovative start-up (all about collaborative change) to founding Undercurrent (zeroing in on enabling and navigating change). These days she is focused on changing the world through her work with Undercurrent, Minds at Work, Next Wave and a soon to be launched social enterprise. Hailing from Campbelltown in Western Sydney and born of South African parents, Candy Bowers is an award winning rapper, writer, speaker, educator, performer and comedian. A NIDA trained actor, Candy has worked across Australia and in the UK as a solo artist and with her notorious hip hop comedy act SISTA SHE. In 2010 she was nominated for the Phillip Parsons Young Playwright Award and won the Best Performance Award at the Melbourne Fringe Festival for her autobiographical solo work WHO’S THAT CHIK? In 2008 Candy picked up the British Council Realise Your Dream Award and featured on the Top 100 List: Creative Catalysts at the inaugural Creative Sydney Festival. Her current artistic projects include developing a play about South African/Australian culture entitled Cook Sisters, touring WHO’S THAT CHIK? and creating a new stand up comedy show entitled Australian Booty. 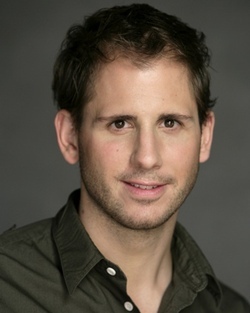 Tim Stitz is an actor, theatre-maker and arts administrator. Most recently he has been touring his acclaimed, Green Room Award nominated solo-show Lloyd Beckmann, Beekeeper (La Mama / Canberra Theatre Centre / Tamarama Rock Surfers / Brisbane Powerhouse). Tim is currently Project Manager for TheatreSpace, a four-year Australian Research Council project investigating the young audiences of Australia’s major state theatre companies and cultural venues (Griffith, Sydney & Melbourne universities in association with thirteen arts industry partners). Tim has worked in various capacities in the arts including positions at the Melbourne School of Creative Arts, Victorian Arts Centre, Pioneer Productions (TV-UK), Auspicious Arts Projects and with John Paxinos & Associates. 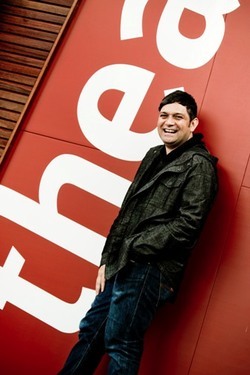 Tim is Chair of the Green Room Awards Association Independent Theatre Panel, a member of Melbourne Playback Theatre Company and part of the La Mama Committee of Management. 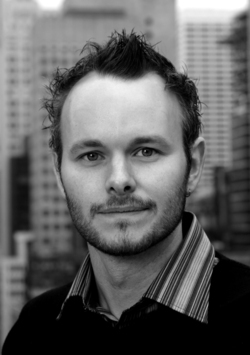 Wesley is the Artistic Director for Queensland Theatre Company. Wesley has directed for Queensland Theatre Company, Melbourne Theatre Company, Adelaide Festival of the Arts, State Theatre Company South Australia, Company B Belvoir, Sydney Theatre Company, Bell Shakespeare, Malthouse Theatre, Windmill, Melbourne Workers Theatre, Alphaville and the ERTH Festival. As a playwright he has written The Story of the Miracles at Cookie’s Table (awarded the 2005 Patrick White Playwright’s Award), The Sunshine Club, Life of Grace and Piety, Black Medea and he collaborated with Deborah Mailman on The 7 Stages of Grieving. Wesley has been Artistic Director of Kooemba Jdarra Indigenous Performing Arts and Ilbijerri Aboriginal and Torres Strait Islander Theatre, Associate Artist with Queensland Theatre Company, Resident Director at Sydney Theatre Company, Director of the Indigenous section of the opening ceremony of the 2006 Commonwealth Games, a Sydney Opera House trustee, a NSW Government Arts Advisory Council member and on numerous other committees. 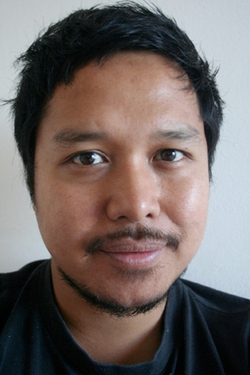 Paschal is an independent Filipino/Australian writer and dramaturg whose practice is focused on interdisciplinary, cross cultural and collaborative processes. 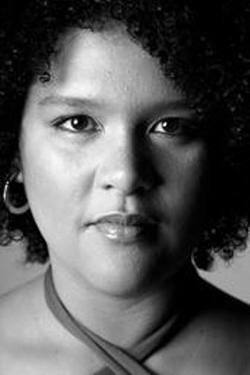 In 2000, Paschal was selected for the Royal Court International Residency in London and was the recipient of Belvoir’s Asian Australian Young Playwrights Award in 1996. 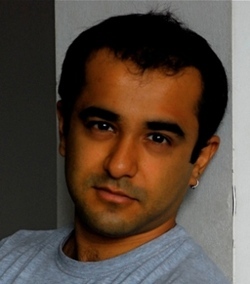 He was shortlisted for an Asialink Playwrights Award for Found Objects in 2001. 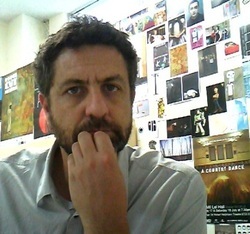 As a writer/dramaturg he has worked with Urban Theatre Projects, Radio National (ABC), Blacktown Arts Centre, Griffin Theatre, The Australian Choreographic Centre, Belvoir Asian Theatre Festival, Performance Space, ATYP, ICE, Multicultural Theatre Alliance, Platform 27, Canberra Youth Theatre and Tuggeranong Arts Centre. In 2005, he received an Asialink Residency to work with Anino Shadowplay Collective. From 2003 to 2005 he was resident dramaturg at The Australian Choreographic Centre, developing projects for Quantum Leap with Artistic Director Ruth Osborne as well as the dramaturgy for various dance works including Tanja Liedtke’s Twelfth Floor. 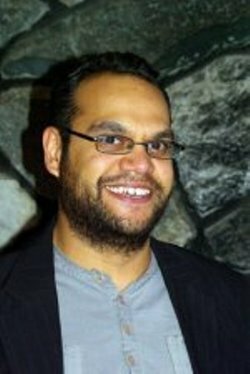 He wrote The Folding Wife in collaboration with Anino Shadowplay Collective, Deborah Pollard and Valerie Berry, which was produced by Urban Theatre Projects and Blacktown Arts Centre (2007), and toured by Mobile States (2010). He continues this collaborative partnership with Anino, Berry and Pollard through the work Within & Without, which is being co-presented by Blacktown Arts Centre and Performance Space. Yaron is Artistic Director and CEO of Circa. He is a graduate of the University of New South Wales, University of Queensland and National Institute of Dramatic Arts (NIDA) where he was the youngest director ever accepted into its prestigious graduate director’s course. Since graduating, Yaron has directed over 60 productions including large-scale events, opera, theatre, physical theatre and circus. His work has been seen in eighteen countries, across five continents by over 500,000 people. He was founding Artistic Director of the Australian Museum’s Theatre Unit, Head Tutor in Directing at Australian Theatre for Young People and has been regular guest tutor in directing at NIDA since 1995. With Circa, Yaron has created works such as Wunderkammer, Circa, by the light of stars that are no longer…, The Space Between and 61 Circus Acts in 60 Minutes. His recent works have been reviewed as being “stunning”, “exquisite” and “the standard to which all other circuses can aspire”. Yaron lives in Brisbane with his son, Oscar. His passion is creating works of philosophical and poetic depth from the traditional languages of circus. Rosemary is the Artistic Director of Windmill Theatre and was the Artistic Director of Queensland Performing Arts Centre’s 2010 Out of the Box Festival. Prior to Windmill Theatre she was the Artistic Director of Arena Theatre Company. 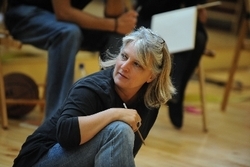 Under her direction the Company won the International Association of Theatre for Young People Award for “inspiring and provocative ways of expressing a new theatrical language which genuinely engages young people in these contemporary times”. Her projects with Arena include Criminology, SKID 180, Game Girl, Play Dirty, Outlookers, Eat Your Young, Panacea, Schnorky the Wave Puncher, Oblong and Autopsy. 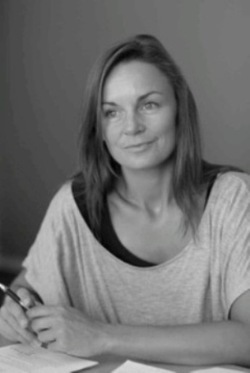 Prior to working at Arena, Rosemary was the Artistic Director of the Union Theatre at Melbourne University. Her independent work includes: ABC Television, Back to Back Theatre Company, Victorian College of the Arts, Queensland Theatre Company and Sydney Theatre Company, and she was a Creative Director for the Melbourne 2006 Commonwealth Games Opening Ceremony. For Windmill Theatre Rose directed Boom Bah!, The Wizard of Oz and Fugitive. Sam Strong is Artistic Director of Griffin Theatre Company. His directing credits include: Speaking in Tongues; And No More Shall We Part (Griffin); David Hare’s The Power of Yes (Company B Belvoir); Madagascar (Melbourne Theatre Company); Thom Pain (based on nothing) (B Sharp); Red Sky Morning (Red Stitch/Full Tilt/Performing Lines National Tour); Shedding (La Mama); Ashes to Ashes (fortyfivedownstairs); Not I/The Stronger (Pilot Theatre); and Closer (Storeroom). 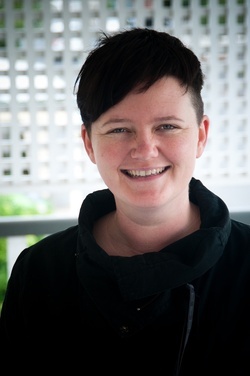 As a dramaturg and script editor/assessor, Sam has worked for Company B Belvoir, Red Stitch, PlayWriting Australia, Sydney Theatre Company, Melbourne Theatre Company, Griffin Theatre, Australian Theatre for Young People, Windmill, and La Mama. He is a graduate of the Victorian College of the Arts Director’s Course and the University of Melbourne, and has been admitted to practice as a barrister and solicitor in the Supreme Court of Victoria. Sam Haren is Artistic Director of The Border Project and has directed/co-directed all of the company’s work including Escape from Peligro Island (Windmill Theatre & Come Out 2011), Vs Macbeth (Adelaide Festival 2010 & Sydney Theatre Company), Disappearance (iNSPACE 2008), Trouble on Planet Earth (Adelaide Fringe 2008), Highway Rock ‘n’ Roll Disaster (Adelaide Fringe 2006, iNSPACE 2007, Sydney Theatre Company 2008), Please Go Hop! with Ingrid Voorendt (Adelaide Fringe 2004 & Next Wave 2004). For Windmill Theatre Company, he has directed Plop! and Grug. He has also directed and choreographed Theatrical Trailer for Alien 5 (ADT Ignition 2007 & 2008) and The Game is Not Over (ADT Ignition 2006), The Station/At the Statue of Venus (State Opera SA 2006), Fronteras Americanas (Kultour 2003) and with Steve Mayhew created Super Dimension Fortress One (Remote Telemetry Dialogues 2004). Lenine is the Artistic Director of Contact Inc, an arts and cultural organisation committed to civic change through creative collaborations between artists and community members. Prior to that, she was Executive Director of Young People and the Arts Australia, the national peak body for youth arts. She has a broad range of professional experiences in the arts and cultural sectors, which have taken her throughout Australia, New Zealand, Canada and the USA. She has led various arts organisations and projects, and worked for peak bodies, local and state government, statutory authorities, educational institutions, galleries, festivals and artists groups. These include: Youth Arts Queensland, Brisbane City Council, Stylin’UP Regional, Ideas Festival, Backbone Youth Arts, Tafe NSW, Office for Youth Affairs, The Roadside Room (ARI), Public Art Agency and Queens Public Girls School (Dunedin). She is currently engaged with Mammalian Diving Reflex (Canada) in the creation of new performance based works made in collaboration with children for adults. Much of her work engages children and young people and diverse communities. Darren is a novelist, essayist, playwright, director, designer and performer. He is Artistic Director of Mammalian Diving Reflex—a research-art atelier dedicated to investigating the social sphere, always on the lookout for contradictions to whip into aesthetically scintillating experiences, producing one-off events, theatre-based performance, videos, installation, theoretical texts and community happenings. He is also Research Director of The Tendency Group, an emerging think tank and social policy laboratory, and co-founder of The Torontonians, a Parkdale-based art collective ranging in age from 13—45, working as a division of Mammalian Diving Reflex. His books include: Social Acupuncture, which argues for an aesthetics of civic engagement and Your Secrets Sleep with Me, a novel about difference, love and the miraculous. His best-known work is Haircuts by Children, which was first created in collaboration with the children of Parkdale Public School in 2006. 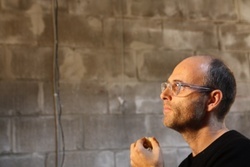 In addition to his artistic practice, he is currently an Msci candidate in Urban Planning at the University of Toronto. 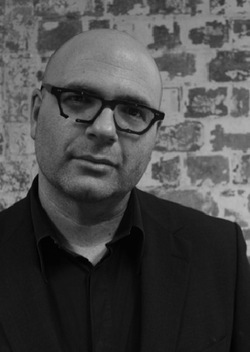 Steve Mayhew is currently Creative Producer, Regional Performance Development and Presentation at Country Arts SA developing contemporary professional performance in regional South Australia and commissioning new works featuring regional artists for touring and festivals across the state. He is the Artistic Director of the 2012 National Regional Arts Conference and Festival to be held in Goolwa, South Australia. A graduate of the Drama Centre at Flinders University, he has worked as a director, dramaturg, writer, creative producer or general manager of companies and festivals including Urban Myth, Riverland Youth Theatre, Junction Theatre, Brink Productions, Adelaide Cabaret Festival, Adelaide Fringe and Restless Dance Theatre. Kyle Morrison has been working in the theatre industry in Western Australia as an actor for 14 years, working for such theatre companies as Black Swan (Waiting for Godot 1993), Deckchair (King for this place 1999, Jimmy and Pat Meet The Queen 2000 & Wonderlands 2007), Barking Gecko (Amys Monster 2000 & Own Worst Enemy 2001) and Yirra Yaakin Noongar Theatre (King Hit 1999, Booyi Koora Koora 1999, Djill Djitt 2000, Inside Out 2001, One Day in 67 2004, Warloo 2005, In The Nyitting Time 2006 Muttacar Sorry Business 2001-2005). In 2008 Kyle was the assistant director on Sydney Theatre Companies production of Romeo & Juliet, Female Of The Species, written by Joanna Murray for Black Swan Theatre Company and Yibbiyung for Company B. Productions directed by Kyle for Yirra Yaakin include- Muttacar Sorry Business (By Mitch Torres & David Milroy 2007-2010), In The Nyitting Time (2008), Good Lovin (By David Milroy 2009/10), Honey Spot (By Jack Davis 2010) and Mothers Tongue (By Kamarra Bell-Wykes 2010). Kyle is currently the Artistic Director at Yirra Yaakin Theatre Company. 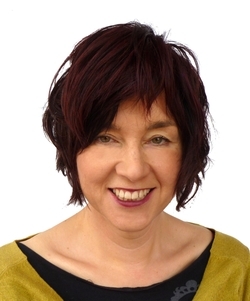 Annette Downs is currently the Producer of Tasmania Performs, an Arts Tasmania initiative supporting product and market development for the performing arts. Originally trained as a dancer, she has worked as a university lecturer, performer, artistic director and producer. Annette is a Churchill Fellow and the 1998 Telstra Tasmanian Business Woman of the Year. She has served on numerous Boards including the Tasmanian State Development Board, Australian National Playwrights Centre, Tasmanian Arts Advisory Board, the Playing Australia Committee and the Australia Council’s Theatre Board.